Welcome to at Land Rugs. A home for hand made, contemporary art rugs and carpets. Expert craftsmen and women using hardwearing Tibetan wools weave these modern designs in Nepal. 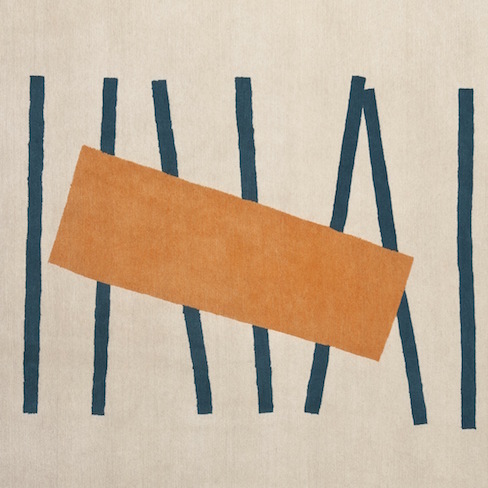 All Land Rugs designs are by the late British Modernist artist, Pip Benveniste. 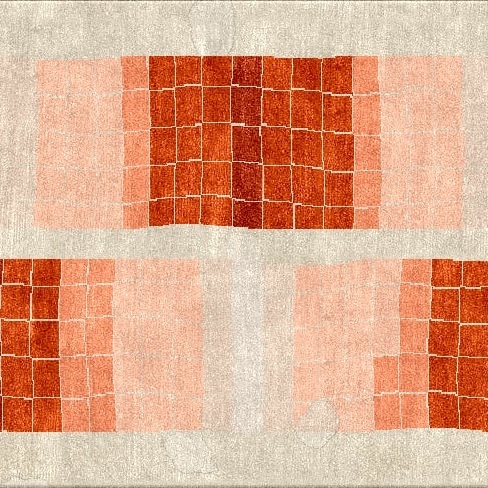 Below are the four Galleries that make up the Land Rugs portfolio of designs, each Gallery with a different feeling to help you decide on a rug or carpet for your living room, dining room, kitchen and bedroom. All our designs can also be woven as repeating design runners for your hallway. Maybe you can consider hanging a rug as a tapestry. All rugs cost £440 per sq mt which means 2.2 sq mts = £968 delivered free in the UK. Welcome to looking at our hand made, beautiful art rugs and carpets. Expert craftsmen and women using hardwearing Tibetan wools weave these modern designs in Nepal. 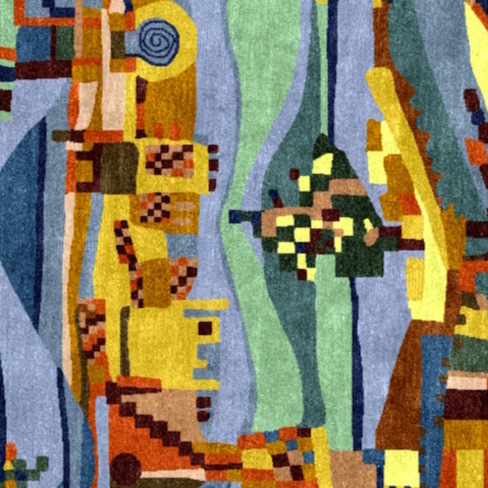 All Land Rugs designs are by the late British Modernist artist, Pip Benveniste. Hand-knotted rugs and carpets made in Nepal with traditional craftsmanship. Delivered to your door. 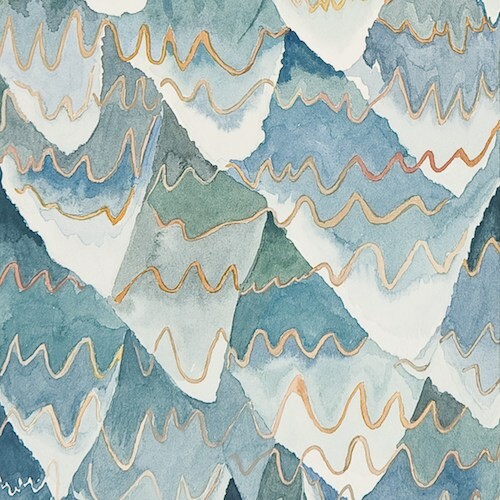 by Pip Benveniste – who was deeply inspired by the spirit of the east and the landscape of the west. Our designer rugs and carpets can bring you artistry, colour and quality – the perfect finishing touch to many different spaces in your home. Land Rugs has operated and sold contemporary rugs and carpets from its Bristol base since January 2011. Simply choose the rug designs you like by looking through the four Galleries. You can also see what the rug looks like in your home. Make a note of the title and the size – if the listed size of the rug you like is different to your chosen space, then let us know. We’ll resize it before we start weaving. If it’s not in stock, your rug will be hand woven in the Kathmandu Valley, Nepal by Nepalese and Tibetan weavers. We work closely with our weavers to ensure the best match possible in wool dyes, finished design and delivery schedules. A typical rug takes 10 to 12 weeks to weave. You pay 50% of total price and the rest on delivery. Free delivery anywhere in the UK. Full refund within 30 days if undamaged. Simply choose the rug designs you like by looking through the four Galleries. Make a note of the title and the size – if the listed size of the rug you like is different to your chosen space, then let us know. We’ll resize it before we start weaving. A typical rug takes 10 to 12 weeks to weave. You pay 50% of total price and the rest on delivery. Free delivery anywhere in the UK. Full refund if 100% undamaged.